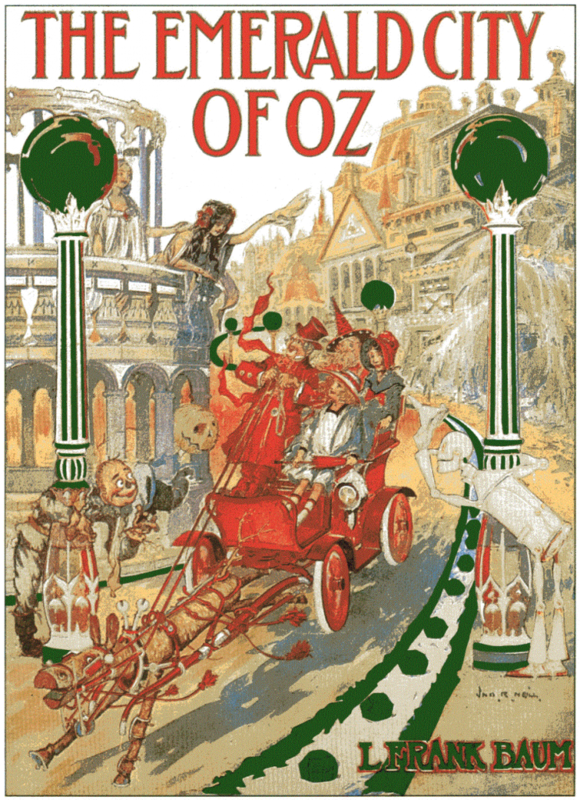 Stella and I finally finished reading The Emerald City of Oz–not my favorite book in the series but still worth a read, if only to understand how Dorothy, Aunt Em, and Uncle Henry are choosing here to never return home to Kansas (would you make the same choice? Would I? Hmmmm). The ending was a shocker though: Glinda makes the world of Oz invisible to everyone outside of Oz, including to us readers, and Dorothy soon after sends Frank L. Baum a letter written on a stork’s wing explaining we will never hear anything else from her again. There is something unfair about this. Many magical worlds at least leave open the possibility of us stumbling on in (like Narnia, for instance–if only we could find the right closet!). This was supposed to be the last Oz book, though it’s not: apparently Baum realized he needed the money and wrote several more. Still, even knowing there were more books to come, the ending was a little hard for me to read, in part because everybody in Oz, including Dorothy, is so happy about being cut off from our world. They have no need for our ordinariness. Probably they would find our lives a bore, and part of me thinks, who can blame them? But another part of me wishes they would pretend to need us, at least as their readers. “I agree with you,” said the Ruler of Oz. “Won’t it make any difference to us?” asked Dorothy, doubtfully.